Noah is 11 months old. Yesterday Noah turned eleven months old. I cannot believe that in one short month he will be one! Where has the time gone? He is just the sweetest and busiest boy imaginable, and I feel so lucky to get to spend my days with him. 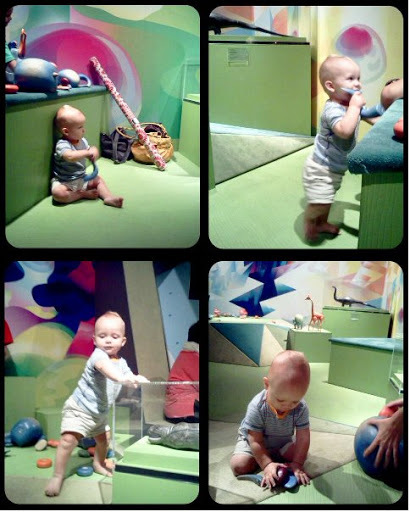 We went to the Columbus Museum of Art downtown. Admission is free for the rest of August, plus they are very kid friendly and even have a great playroom set up for small children. Needless to say we’ll be going back very soon. The museum was having an exhibition where they give viewers yards and yards of plastic fabric to take home and make something out of, then the viewer uploads photos of the finished work to flickr. Naturally I took home a roll! The fabric is in the bottom right of the photo above. 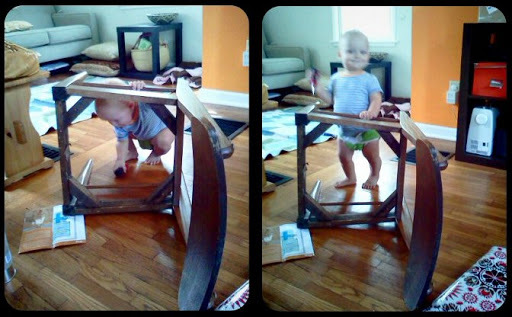 I thought I would recover our seat cushions with it, and Noah helped me do a test run! I love how proud he looks holding his very own screwdriver. In the evening I baked a spinach lasagna I had put together the day before. 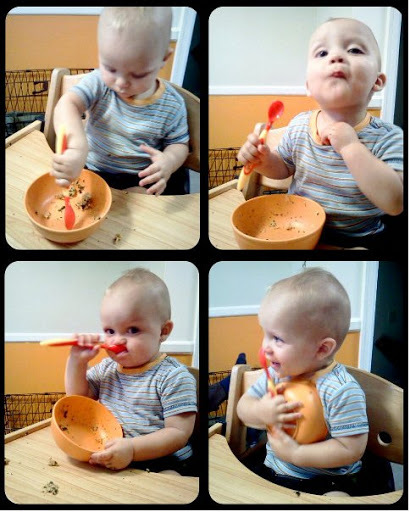 As shown by the pictures, Noah had just about as much fun eating it as possible. I’m pretty sure that more ended up in his lap than his belly. Happy eleven months little Noah Benjamin. We love you!